He said that after living till the celebration of 72nd Independence Day he has gone to the other world. He will always be remembered for the telecom revolution, East West corridor, golden quadrilateral, express highway, PMGSY, creation of DoNER Ministry and of course the Pokhran Nuclear test, Brahma said. “During his time, the BTC accord was signed and Bodo language was included into the eight schedule of the Indian Constitution. Salute to the departed soul of Vajpayee ji,” Brahma added. Pradip Daimary, who was ex MCLA, BTC also expressed deep condolence to the people’s leader who left for his heavenly abode on Thursday. “Let his soul rest in peace. He has a high place in the history of the Bodos and Bodoland as the Bodoland Territorial Areas District (BTAD) was created and Bodo language was included in the 8th Schedule of the Constitution of India through the 2nd Bodo Accord of 2003,” Daimary said. “This is the saddest day of the country. 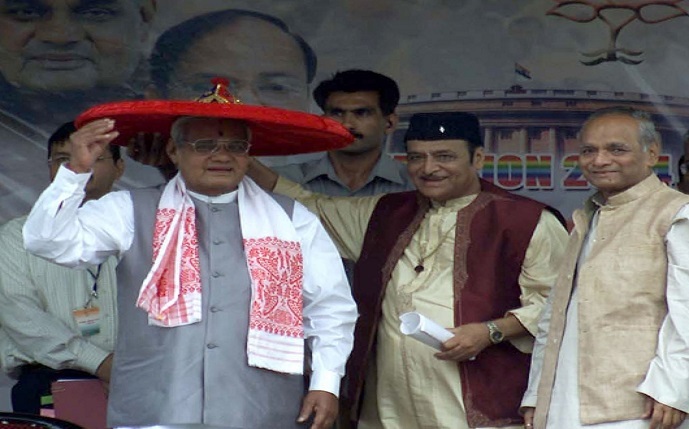 You were and will be the tallest leader India ever had…Bodo people will always bow down before you in respect for solving the burning Bodo problem and your contribution in creation of BTC,” Hazowary added. President of All Bodo Students’ Union (ABSU), Promad Boro while offering deep condolences to the departed soul said Vajpayee was a great and dynamic leader and his demise is a great loss for the whole nation.